“Positivity is Contagious!” I am here to help you with all your real estate needs whether you or looking for your dream home, a vacation getaway, a retirement home or selling property in our community. My background in sales and project management gives me the ability to carefully watch the details of a real estate transaction. What that means to you is a smoother, more convenient and more pleasant buying or selling experience. 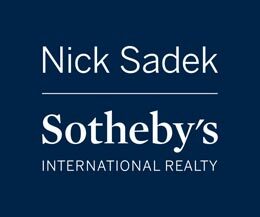 In my real estate career, I have chosen to partner with Sotheby’s International Realty. Their professional staff, productive office, international reputation for excellence, award winning website and full-time marketing staff give me an edge in providing you with the kind of professional and personal service that I require for my clients. Personally, I love our area. My husband and I chose to raise our two children in this community because of the excellent local schools, top-notch health care and a varied, active outdoor lifestyle. The shopping, entertainment and restaurants run the gamut from small locally owned cafes to world class dining. Living in the area gives us access to the local scenic wineries produce some of the finest California wines available and could consume an entire Saturday afternoon just visiting one after another. But what we most enjoy is the convenient access to Lake Tahoe with its white sandy beaches and crystal blue water. For boating, hiking, skiing or just lounging there is no better place to be. You can tell I am in love with this pristine paradise and its uniqueness, quality of life and its people. Let me introduce you to the area. You won’t be disappointed.